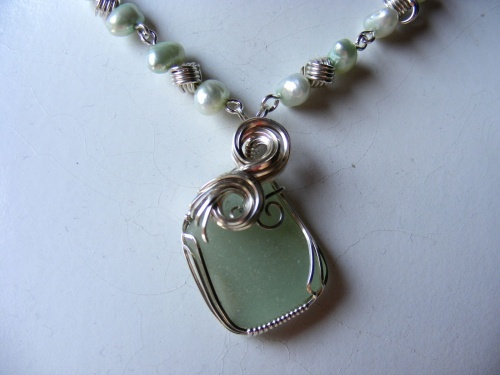 This necklace is made with beautiful minty green seaglass which is adorned with swirls of argentium silver. Freshwater pearls enhance the necklace with small love knots giving it that extra sparkle. Piece measures 19" long and has a bali box clasp to keep it safe.